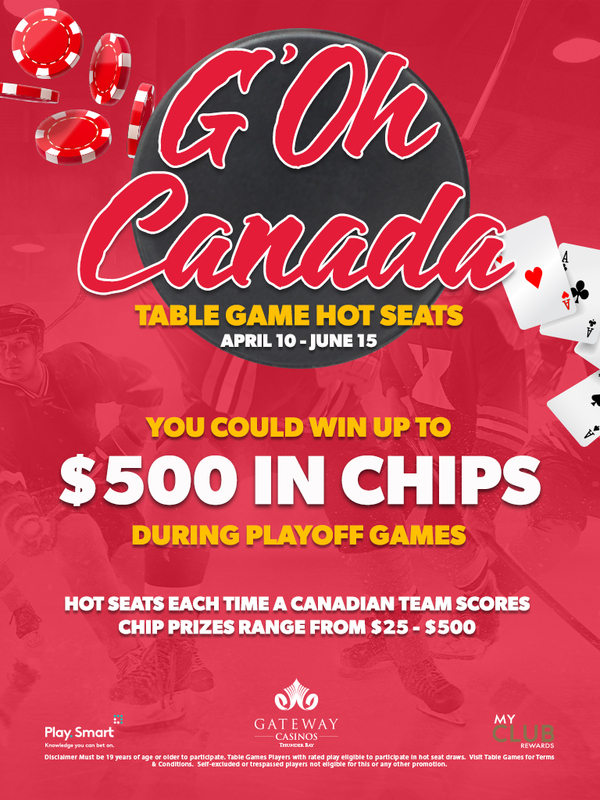 From April 10 – June 15 you could win up to $500 in Chips during playoff games! Table Games Hot Seat Draws each time a Canadian team scores. Gaming Chip prizes ranging from $25 – $500!